Are Workers’ Compensation Settlements Taxable in Texas? Most income earned by Texas residents is taxable and so must be reported on their federal tax returns. However, there are some situations when this general rule does not apply. For instance, welfare benefits and compensatory damages awarded for physical injury are not considered taxable income. Similarly, those who receive a workers’ compensation settlement are not usually required to report the amount as income, although there are a few exceptions. 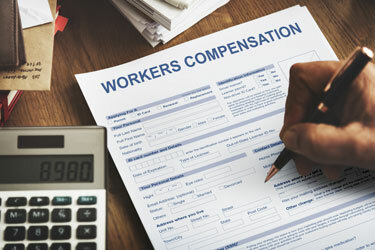 Failing to report income to the IRS can have serious consequences, so if you recently received a workers’ compensation settlement from your employer or its insurer and have questions about whether or not you should report it to the IRS, it is critical to speak with an experienced workers’ compensation attorney who can advise you. According to federal law, amounts that a person receives as compensation for an injury sustained while on the job are not taxable as long as the settlement was paid under a workers’ compensation law or a similar statute. This exception also applies to an employee’s survivors if the injured party loses his or her life as a result of the injury or occupational illness. However, this exemption does not apply to retirement benefits that are awarded based on an employee’s age, contributions to the plan, or length of service. These benefits will still be considered taxable income even if a person retired due to an occupational illness or an injury sustained on the job. When a person receives Social Security disability insurance (SSDI) or Supplemental Security Income (SSI) in addition to workers’ compensation, the combined amount of benefits cannot exceed 80 percent of their average current earnings. If the benefits do exceed this amount, the Social Security Administration can decrease the payments enough that the total will drop to the allowable threshold. In these situations, the amount by which disability payments are reduced will also be the amount of workers’ compensation that is considered taxable income. If a person returns to work after receiving workers’ compensation, all additional payments received, even for performing light duties, can be taxed as income. Additionally, if a worker receives a disability pension under a plan that provides benefits only to those who have sustained work-related disabilities, the portion of the total amount dedicated to compensating the employee for the injury will be exempt from taxes. This is also true for survivors of deceased employees who will also not be required to claim the workers’ compensation portion of the benefit on their income tax return. However, the remaining amount, which is based on the employee’s years of service, will still be considered taxable income. In the event that benefits are paid with interest, which is often the case when an insurer caused a considerable delay in processing a claim, any interest will also be taxed. If you are receiving workers’ compensation benefits and have questions or concerns about which portion, if any, is taxable, please contact Sutliff & Stout at 281-853-8446 today. We can also be reached via text message and email.